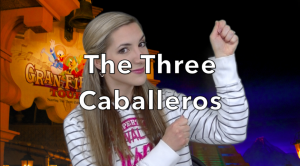 Have you heard of The Three Caballeros? Have you seen the film? In today’s episode of…Wait, Who’s That?, I give you a brief overview of these lively Disney characters! Who’s your favorite Caballero? Let us know in the comments! Legoland: Theme Park for Adults? I saw that when researching but didn’t get the chance to watch. Thanks for the link. I’ll definitely check it out! Disneyland (California) added some stylized Disney characters, including “The Three Caballeros” to their “its a small world” ride. The Three Caballeros also have a float in Mickey’s Soundsational Parade at Disneyland.